NEW CONSTRUCTION WITH GOLF COURSE VIEWS! 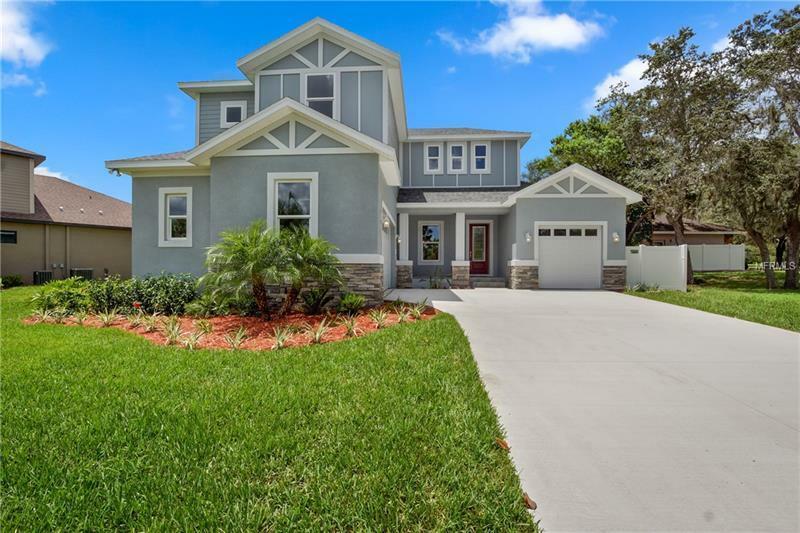 This newly built 4 bed/3 bath home is absolutely stunning and sits right on the historic Temple Terrace Golf Course! From the moment you walk in the doors you will fall in love with a completely open living space with picturesque windows throughout that fill the home with natural light. The home features wood look tile throughout, beautiful wood cabinetry, granite, coffered ceiling in the living area, large loft and French doors with in window blinds. The home has SPRAY FOAM INSULATION throughout and the roof lines are sprayed as well making it an extremely ENERGY EFFICIENT home! To add to the home's efficiency are two tankless gas water heaters and gas stove. The master suite is located on the first floor and features his and hers walk in closets as well as a sprawling, spa like, master bath. You will not want to miss out on this one! Schedule your private viewing today!